I provide a realistic and intelligent perspective on leadership and developing defendable retail brands. Over 50% of change and reinvention initiatives fail. You don’t have to believe me, ask the retailers that invested in them. 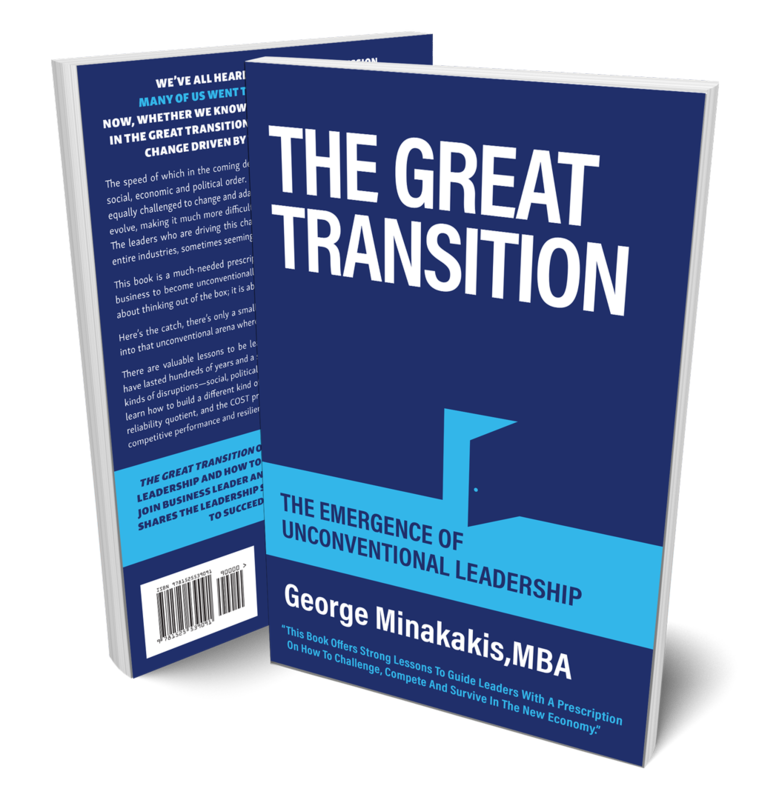 My name is George Minakakis… I lead retail brands into the new economy. During my career, I have held executive leadership positions as a Country General Manager leading four retail divisions at one time in Canada. I also drove the expansion of LensCrafters into Greater China, which included Hong Kong as the Chief Executive Officer. I had an office and teams in both Hong Kong and Shanghai. Before these senior leadership roles, I was an Area Manager and Franchise Business Development leader in the foodservice industry with what is now YUM Brands. After 18 great years at Luxottica and several years with Pepsico Food Services (YUM), I decided that I want to do something different. My first challenge was to determine how I can take twenty-five years of experience and translate that into a business? I believe that the success and failure of businesses and careers begins and ends with the quality of leadership that we each espouse in our roles. In early 2013, and I got a call one day, and the voice on the other end of my cell phone asked me if I was interested in owning company ABC? I said; “of course I would if I had $125 million to spare”. That was the beginning of the journey. Since then, I have found myself working with Private Equity as an advisor and CEO partner (which is just a fancy way to say that if they bought the company, I would both invest in it and run it for them). There continue to be a lot of advisory roles which includes the review of businesses and I enjoy being a part of that process. In addition to this, personally I have pursued the acquisition of retail chains from healthcare, fashion, hardware and everything in between over the last five years. There are thousands of reasons why some deals never come to fruition, so the rule is never to take it personally, move on and find another one. My business experience has also earned me a great deal of credibility with other business leaders and the media who frequently reach out to me for my perspective on where the consumer sector is heading! I am passionate about the retail sector, its history starting over two thousand years ago when we bartered for goods with furs and tools, the introduction of bazaars where traders brought goods from foreign lands. Then came trading posts and general stores where you could buy the basic needs of life all the way to modern retailing which started about one hundred and twenty years ago in cities with single storefront shops, street vendors, and the first department stores. 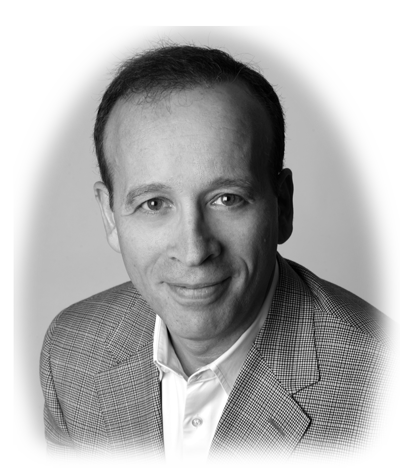 I have made retailing my life, and after my long career with Luxottica, I continued to work in the industry as an advisor to private equity, CEO partner, keynote speaker, and consultant to unique privately held brands. Some of my critical strengths over time have proven to be strategy and operational execution. I write about it quite frequently and am a firm believer that even the best of strategies will not meet their objectives when you don’t have the internal culture and talent to define and deliver them. Building country brands is my strength as a leader having accomplished this many times in Canada, USA, China and Hong Kong. The right people in an organization are the reason cultures and strategies are right; and achieve their objectives. Also, I am very upfront about my point of views when it comes to the retail sector. The media likes to interview me especially when they want the unvarnished truth about what is wrong and what I think of the retailer’s strategies. If you want to stay ahead of your competitors, improve the progress of your career few other people are willing to put it on the line the way I do. Y0u need to follow me because I tend to be ahead of the curve on many of the changes that are happening in the industry. No, I don’t have any magic bullets. However, being a facts driven executive I can see what others don’t see , when it comes to opportunities for growth and improvement. My second book is finished and with a publisher which will be out in 2018-2019. It is about how the world and business needs more Disruptive Leaders. Everyone today is looking for that magic bullet that will save their brand. One thing I share with anyone who asks is that seventy percent of transformation and reinventions fail. I don’t listen to speculation about the future of business because no two situations are alike and no single idea can solve everyone’s problem. I guess that comes from being a very fact-based leader and in today’s business world you cannot afford to be tied down to unrealistic ideas, the only thing I know is that you have to be FAST or get left behind.